WEST SIDE STORY tickets are flying out of the door and we don't want anyone to miss out on this exciting performance. Reimagined for the round and featuring brand-new choreography, this is the hot ticket in town! If you haven't booked yet, then fear not - because we're launching a new and exciting initiative called WEST SIDE WEDNESDAY. Over 48 hours, our dedicated phone line will be open for priority booking, giving you the opportunity to purchase your Membership alongside up to two tickets for the following week of performances before they go on General Sale. Tickets will be sold on a first-come, first-served basis. If there are no Priority tickets left, there’s no obligation to buy a Membership and you can always try again a week later – the team can advise you what to do next! Membership prices start at £48 and our WEST SIDE WEDNESDAY number is 0161 615 6762. The line will be open from 9:30am to 5:30pm. Keep an eye on our social media channels to find out exactly how many tickets are up for grabs on each WEST SIDE WEDNESDAY! WHEN DOES PRIORITY BOOKING BEGIN? - Priority tickets are released at 09:30am on Wednesdays, which are available for 48 hours. You can only book tickets for the following weeks’ performances. - Any unsold tickets after the Priority period will be released back to Box Office and open to the public on Fridays at 09:30am. WHAT ARE OTHER MEMBER BENEFITS?  Your Royal Exchange Theatre Membership will last for a full year so you will have 12 months of Member benefits, including priority booking for other productions, invites to exclusive Q&As and 10% discount at our shop, bar and restaurant. ARE THERE OTHER WAYS TO GET TICKETS? - Any unsold tickets after the 48 hours of Priority Booking will be released to Box Office on Fridays at 9:30am. - Queue up at the Box Office for day seats at 9:30am on the morning of each performance. Phone sales for these seats open at 10am. Please note though that these tickets are VERY limited, with as little as 2 per performance. - We sometimes have tickets returned on the night, so you can try the Returns Queue at Box Office, which opens an hour before the performance starts at 6:30pm. You can reach Box Office on 0161 833 9833. However, if you want first dibs on tickets - join us on WEST SIDE WEDNESDAY by contacting the Development Team directly on 0161 615 6762.